Live streaming is no longer the future of events marketing, it’s the present. The use of live videography gives you an instantaneous marketing tool that you can use there and then, and recycle for later. Whichever channel or channels you are using, Facebook Live, YouTube, Twitter-owned Periscope, Snapchat or Instagram; bring them to your exhibition stand. They are the channels for a two-way immersive and interactive marketing tactic that draws crowds, and keeps them entertained while they are there. Stream in experts and ambassadors, with real time interviews and Q&A sessions. Get a go-pro or body cam feed and show your viewers products or services in action, or take them on a live tour of your business. Run interactive games and competitions and get your visitors engaged with your exhibition content. Don’t forget that video footage trumps still images in social media. Share your interactive feed via your social channels, or create a ‘best bits’montage for people to catch up on later. Streaming out means you’re also reaching the people who couldn’t physically make it to your exhibition stand, as well as a much wider audience, all of whom are potential customers. The design of your exhibition stand, and the way you showcase your channel broadcasts is integral to visitor footfall. The more inviting your stand, the more likely visitors are to enter it, and stay giving you a longer period of time to showcase your products and services. If you are asking your visitors to interact using a tablet, such as an iPad, you may wish to provide seating or cabaret tables so they can do so in comfort. If you want to project onto a larger area, you may opt for a large TV or white screen. Our stands are tailored to your needs and we will create you a dynamic design that will generate the maximum result, no matter what size your stand is. 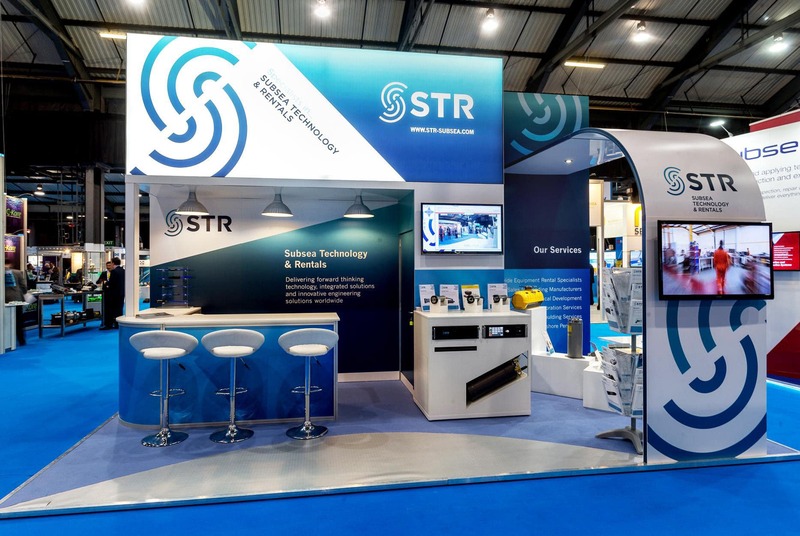 We’ve a full range of portable display equipment for hire, from panel and pole stands, pop-ups, tables and chairs, literature stands, counters, lighting and roller banners, suitable for stands of any size. We’ve more than 25 years of exhibition, design and graphics experience so from conception to completion, we will design and create an exhibition stand for you that will engage your audience and market you at your best. Want to know more? Take a look at our gallery and call one of our friendly team.